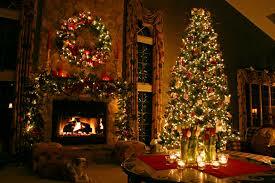 There is an immense amount of passion and enthusiasm that is expressed during the Christmas season. There is jubilation among children, caroling in the snow, festive lights in the neighborhood, glasses full of eggnog, and just about every other tradition that is associated with this celebration. But just like any other occasion or event, things can always tend to get a little exaggerated. There has been plenty of jargon going around about the proverbial “War On Christmas.” Many traditional conservatives, who are mostly evangelicals, are accustomed to the “Merry Christmas” greeting while others may prefer a general “Happy Holidays” greetings. Both are correct in their preferences. “Merry Christmas” is indeed a jovial expression of a holiday that acknowledges and celebrates the historical event of the birth of Jesus Christ and the gift of love that ensues, but there shouldn’t be an assumption from Christians that “Happy Holidays” is an assault on this sacred phenomenon. It is indeed quite noble for Christians to be willing to defend the meaning of Christmas, but an attempt to be presumptuous about everyone’s intentions could be dangerous. Christmas is not a time to debate frivolous matters such as word usage, but it is a period in our lives when we reflect on that which matters most: the gift of love. It is where we serve one another and display acts of kindness. Christmas is the quintessential reminder that it is not about us, but it’s in reference to our Creator. With that said, our petty differences on what type of greeting to use diminishes the exuberating thrill that is associated with Christmas. Whether it is “Merry Christmas” or “Happy Holidays,” both are used to express a thankful and jolly spirit that radiates within the soul of a person. There can truly be no war on Christmas. Even if the more mainstream guided individuals seek to secularize Christmas by omitting a religious phrase, it will never overwhelm the spirit of Christmas, which is displayed in actions, not mere words. If we are to spend countless minutes and hours trying to convince ourselves of a verbal war that is a hyperbole of our emotions, then perhaps we are not totally secure in our beliefs and core principles. While there are many who are seeking to not offend anyone who does not label themselves to a particular religious sect, their choice and feelings are not misinterpreted. In the United States alone, roughly 83% of Americans identify themselves as a member of the Christian faith. Christians should not feel that Christmas is being threatened or attacked. Christians still have a very lucid voice around this time of year. It is imperative that we ignore the cultural cries to be politically correct in all things, but in the same manner, there must be a civil approach to issues. The best way to address the differences in how individuals choose to issue out Christmas greetings is to let each exercise their First Amendment rights in the manner they see fit. If they say “Merry Christmas” or “Happy Holidays,” we must all realize that is still a sharing of peace and goodwill towards men, which is what this holiday season represents. If we were all confident in our beliefs and moral practices, nothing will offend us.